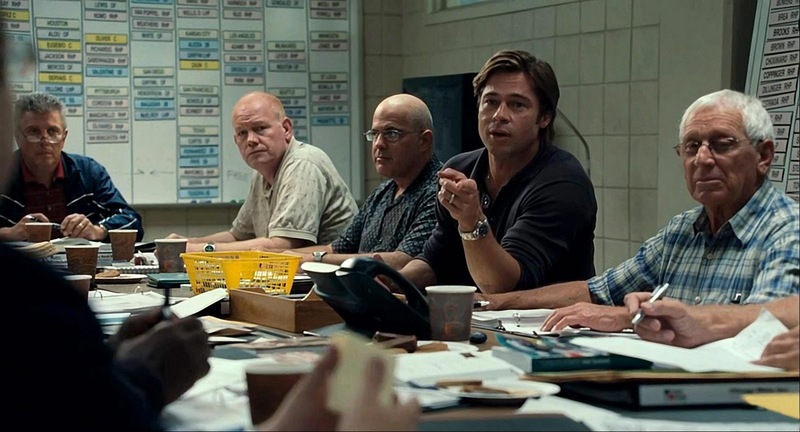 MONEYBALL is an absorbing baseball film somewhat hampered by preoccupation with the lead character's personal life, as well as the filmmakers' attempts to be overly artsy-craftsy. 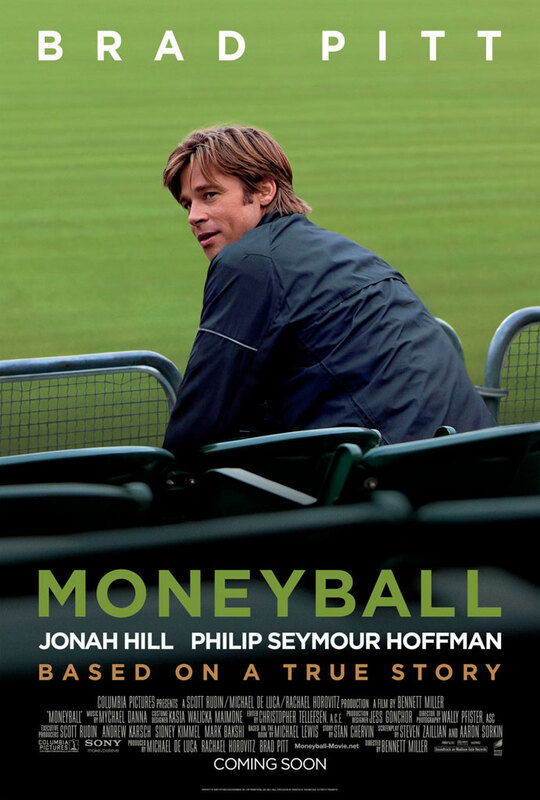 MONEYBALL is based on the real-life story of general manager Billy Beane (Brad Pitt) and how he and his assistant GM, a young Yalie computer whiz named Peter Brand (Jonah Hill), turned the Oakland A's into a contending team on a shoestring budget. When the film sticks to the subject of baseball, it's quite enjoyable, even fascinating. I loved the scenes between Beane and Brand, as well as the prickly relationship between Beane and field manager Art Howe (Philip Seymour Hoffman). Conferences with Beane, Brand, and a bunch of wizened scouts are a hoot, and a scene where Beane is on the phone wheeling and dealing for a pitcher is both funny and dramatic. A couple of the film's most exciting moments aren't on the field, but in an office. The script was cowritten by Aaron Sorkin (SPORTS NIGHT, THE WEST WING), and not unexpectedly there is some very good dialogue, although Sorkin trades in his trademark "walk and talks" for a much more leisurely pace, with dialogue punctuated by long, meaningful pauses. Where the film goes off the rails, in part, is during those long pauses. My younger daughter described the film as "Brad Pitt driving around in a car," and she's got a point. The viewer spends too much time trying to read Pitt's mind while he's driving -- his character often drives to avoid the stress of the games as they happen -- and there are too many ponderous closeups, especially in the final sequence. The filmmakers try to frame the story in the context of Beane's personal history, including a failed career as a player and a failed marriage, with the possibility of failing at parenthood still ahead of him. With all respect to the real Mr. Beane, in the context of the film his personal story just isn't interesting. Every time the movie leaves the current baseball season for another flashback, or an awkward moment with Beane's ex-wife (Robin Wright) or daughter (Kerris Dorsey of BROTHERS AND SISTERS), the film loses its momentum. Deleting these scenes would have also resulted in a crisper running time. The film didn't need to be 133 minutes long. There is a better, shorter movie inside what was released, especially with the excellent performances by Pitt, Hill, and Hoffman. The film was directed by Bennett Miller. Parental advisory: The film is rated PG-13 for strong language. Compared to some other films of recent vintage, I didn't find the foul language especially oppressive. I suspect, however, that younger children might find the subject matter on the dry side, unless they're huge baseball fans. As a side note, my oldest daughter had fun working on this film as an extra one Friday night about a year ago. She did quite a bit of extra work in order to have an income while she was looking for more permanent work. Scenes depicting a game between the A's and the Mariners were filmed overnight at Dodger Stadium, and she was dressed in Oakland A's colors sitting behind home plate. She's probably somewhere in the final film, but it's impossible to pick her out of the crowd! I've been "to the movies" a significant number of times this year, but it took until October for me to make the effort to see a movie released this year! I hope there are more interesting releases in the months ahead. Leonard Maltin also liked but didn't love the film, while Kenneth Turan of the Los Angeles Times loved it. USA Today rated it 3-1/2 stars. 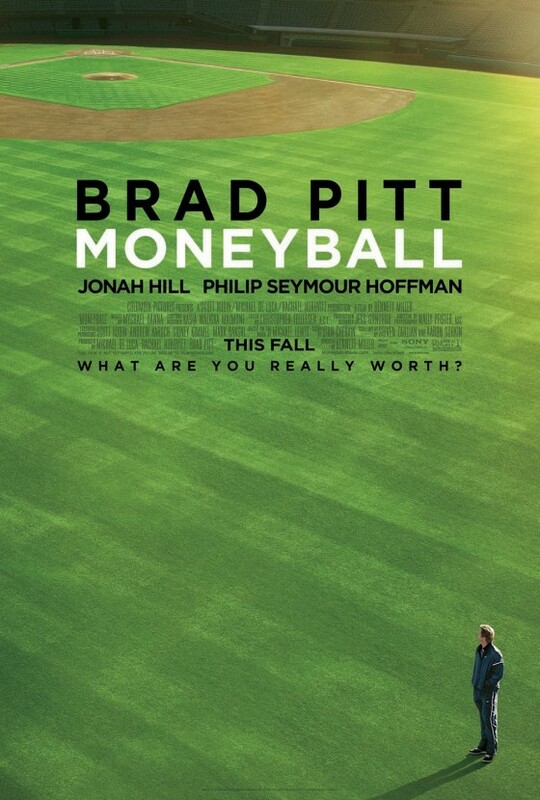 The bottom line: Though it's not a complete success, baseball fans should enjoy this solid, well-acted film. 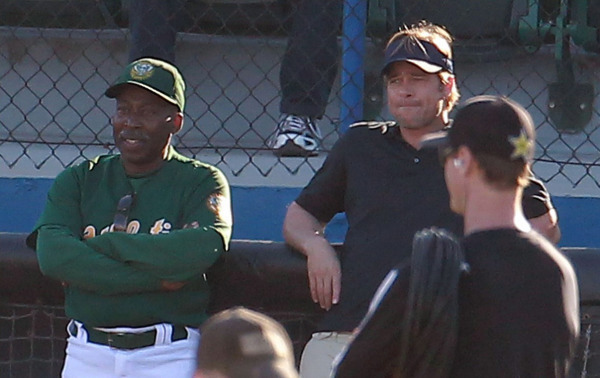 Whatever the strengths or weaknesses of Moneyball the Movie, the Oakland team is a failure by any standards. They virtually never win, and no one goes, except when the Yankess or Red Sox come to town. They are trying to move the franchise so they may put these failed concepts to work in another environment. The concept of Moneyball is a tirumpgh of celebrity over achievement.